Motorola’s mid-range Moto G6 Plus has finally started receiving the Android 9.0 Pie stable update. The Lenovo-owned company has announced that the Android 9.0 Pie update is now rolling out to users in India. Now that Motorola has started seeding the Pie update for the Moto G6 Plus, we can expect the company to push the stable Android 9.0 update for the standard Moto G6 soon. The Pie update brings a host of new features such as a new intuitive Navigation and Recent App, improved Do Not Disturb mode, a more colorful settings menu and more. 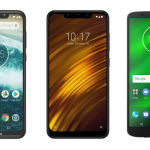 Even though a support page for the Moto G6 Plus Android 9.0 Pie update has been added to the Motorola India website, very few users have actually received it so far. As with any major update rollout, it may take a few days before the Android 9.0 Pie update for the Moto G6 Plus becomes available for a large number of users. In case you have not received an automatic update notification on your Moto G6 Plus yet, you can check for it manually by heading over to Settings > System > System Updates. In case the update is available for your device, you can tap on “Download and Install” to upgrade it to the latest Android version. As mentioned earlier, the Android 9.0 Pie update brings a number of new features to the table. Some of the major highlights include adaptive battery for improved battery life, adaptive brightness, quick settings improvements, redesigned settings app, new emojis, notification UI changes, performance improvements, Wi-Fi optimization, DNS over TLS support, data encryption, security enhancements, simplified volume controls and revamped split screen. In addition to these changes, the update comes with the latest Android security patch dated December 1, 2018. The entire changelog is quite lengthy, so if you wish to find out more about the Pie update, head over to the source link below. 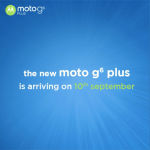 While the Pie update has only been announced for the Indian market so far, we expect Motorola to begin seeding it in other regions by the end of this month. Moto G6 Android Pie Update Around the Corner? Last month, a beta Android Pie build for the standard Moto G6 had been leaked online. Since the Motorola G6 Plus has now started receiving the stable Pie update, Moto G6 users can expect to receive the stable update by the end of the current quarter. 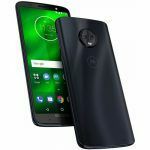 Along with the Moto G6 Plus and Moto G6, Motorola has confirmed the Pie update for the budget-friendly Moto G6 Play. However, all the three Moto G6 series smartphones will not be receiving any major OS upgrade after the Pie update. 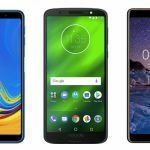 As confirmed by Motorola in April last year, the Moto G6 series will only receive one major Android update. Motorola’s entry-level E5 series, on the other hand, will remain stuck on Android Oreo. 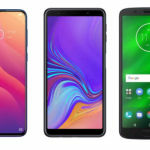 The only other budget Android smartphone from Motorola to have received the Android Pie update is the Android One Motorola One Power (review), which received the update in November last year. 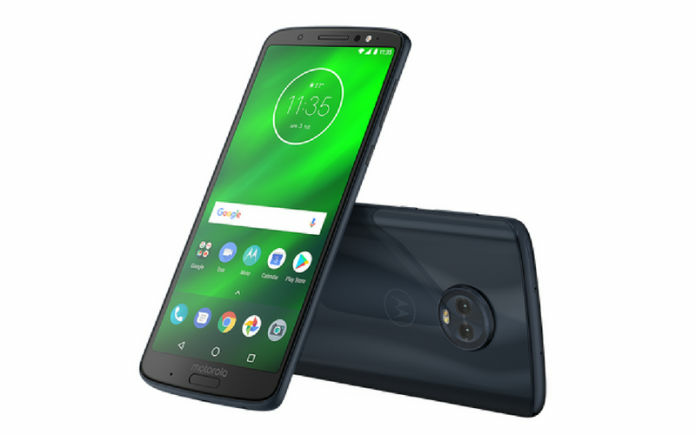 Unlike the Moto G6 series, however, the Motorola One Power will be receiving the Android Q update as well. As some of you may know, all Android One smartphones are guaranteed to receive two major OS upgrades and regular security updates for up to three years.